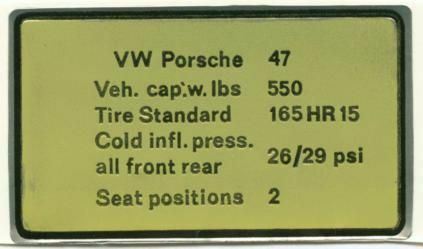 I am trying to work out which decals are correct for my 1974 2.0 car. 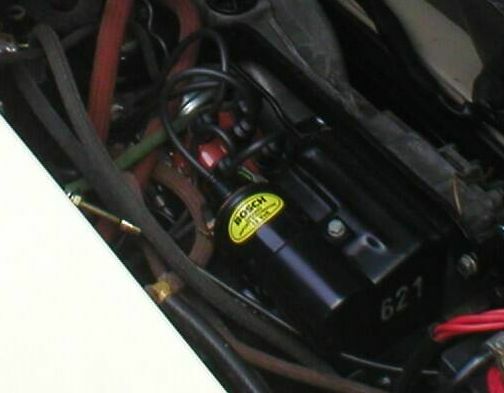 I am in the process of restoring the car. I wanted to put the factory decals back but didn’t want to use any which were for the US or ROW markets. At some time in the past my car was painted and all original decals were removed. 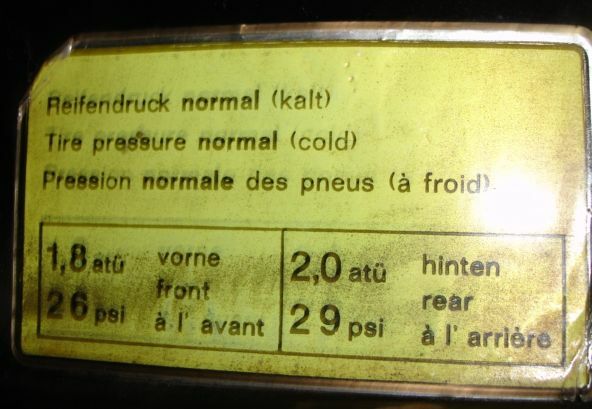 My car was sold through Porsche Cars Belgium and was built in 01 January 1974. If anyone who knows what decals originally came with a European delivered car I would really appreciate it. Especially if you have photos or even a source! 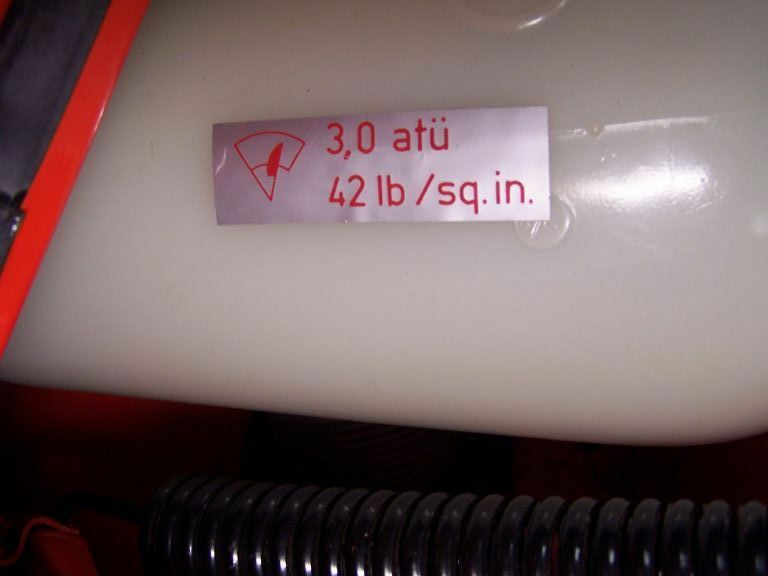 The fuel decal next to the chassis number on the right inner fender. Is it silver with black or red writing and is it 91 or 98 /RON? 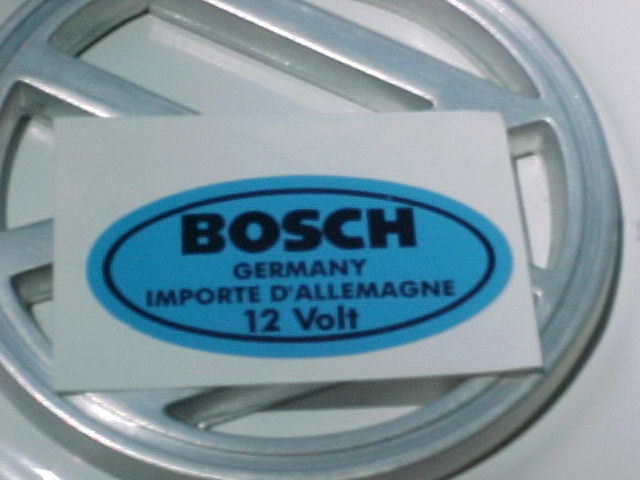 One with it in German English and French and the VW-Porsche Logos. One with it in German, English and French and no logos. 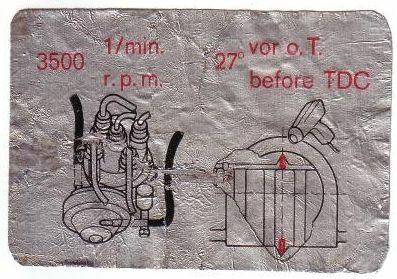 Silver with red writing and drawing. 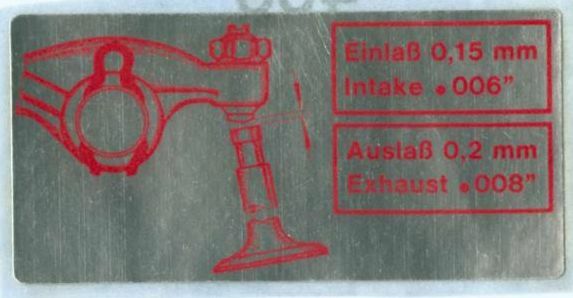 German and English –Intake .006 Exhaust .008. Silver with red & black writing and drawing. English and German. Unsure if these ones were used at all? And before anyone gives me any grief, yes I know........What the F am I doing withmy time!! !